Bruce David Steinmeyer was born May 22nd, 1962 in Colorado Springs, CO to Dorothy Canfield and Jack Steinmeyer. 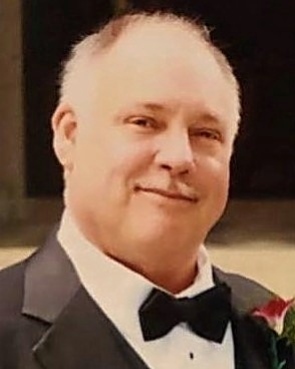 He passed away peacefully on February 4th, 2019 at the age of 56 at St. Lukes Hospital in Meridian, ID. Bruce married his soul mate Laura Poulsen on October 26, 2001, in Mesa, AZ. The two of them were kindred spirits and shared a special bond built on love and humor. In 2006, Bruce and Laura moved to Logan, UT. Bruce loved the beauty of Cache Valley. Logan’s mountains, fishing, forests reminded Bruce of the Colorado he grew up in, and Bruce was truly at “home” in the outdoors. Bruce had a special gift of connecting with people, and he fostered deep and meaningful relationships with neighbors, such as Rayola Jensen, as well as other locals, such as the local Butcher and Baker at Smith’s Grocery, and the Employees of the Island Market. In addition to making people feel loved, he also found love in “the little things” of life. He adored animals and was active in rescuing them. Bruce loved his beagle Lucy and his cats Bigs, Bear, Charlie, Cubs and Crashy – who he dubbed his “staff” and with whom he jokingly held “staff” meetings. Bruce was also an artisan in the truest sense of the word. He was a talented singer, guitarist and poet – a gift he passed on to his son. He was a profound thinker and had a gift with words that comforted and brought joy to his friends and family. Bruce had an affinity for poetry and music, with Robert Frost, Neil Young, Joe Satriani, and Adrian Legg being some of his favorites. He recently attended a concert by Tommy Emmanuel to which he vividly described as a transcendence of musicality. Bruce, however, would contend that fatherhood was his greatest passion and accomplishment. He knew how to make people feel loved and included. He was truly in-tune with his emotions and shared empathy and love with others as often as he could. His love to his wife Laura was unparalleled. Their first date was at a library, and he ensured that they continued going to libraries throughout their marriage and sought library cards as a priority wherever they lived. He was an excellent chef and loved to cook for Laura and others. Bruce is survived by his wife Laura, his children Bryson (Samantha) Steinmeyer, Jordan Barajas, Kirsten (Danny) Godfrey, Kami (Don) Griner, Britney (Lyndsey) Klein, Natalie (Mike) Hammond, his grandchildren Bastian Steinmeyer, Kate, Jana, and Gavin Godfrey; Daxton, Kaylee, and Chloe Griner; Wrigley Klein; Jaxon, Ryker and Krew Hammond and his siblings Pete (Barb) Steinmeyer, Jack Steinmeyer, and Tom (Sue) Steinmeyer. He will be missed by his many nieces and nephews and his life-long friend, Bart Ferguson. He was preceded in death by his parents and siblings Robert and Ann Steinmeyer. A celebration of life event will be held at a future date. Arrangements were made by Relyea Funeral Chapel. In lieu of flowers, Bruce would be honored by any donation given to a charity of your choice. Many thanks to the doctors and nursing staff at the hospital who lovingly gave their all in caring for him.